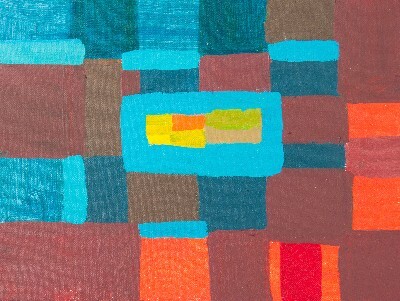 Please email me for info, go to "Contact Artist"
Geometric abstract painting is a persistent theme in my work. I am currently working on a series of large Labyrinth paintings. It is a series that I started in 2014 when I became interested in this ancient cross cultural form as a basis for the structure of painting and drawing. 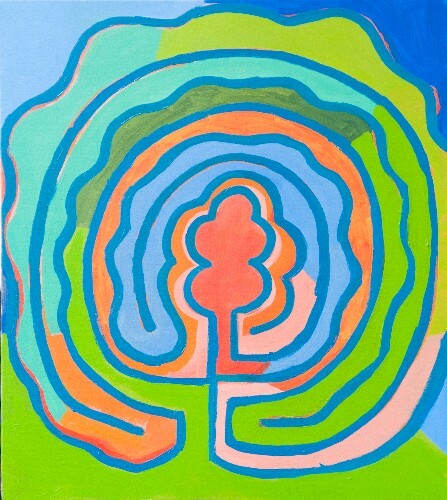 The labyrinth painting has a heart, a destination, yet the labyrinth painting also has a winding path that the viewer can trace with either their fingers or eyes to experience a form of meditation. 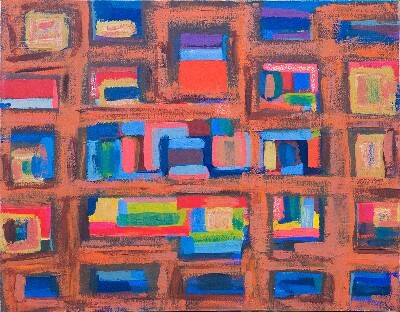 Thus, the painting can become a way to slow down and gain personal insight. 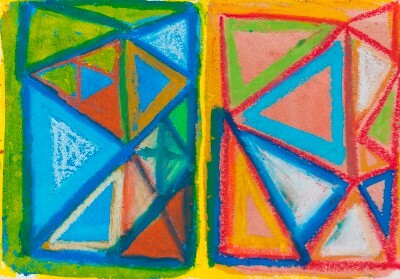 I also always studying geometry in art, how geometric forms interact, through my own improvisations. Additionally, I feel connected to nature so that some paintings refer to recognizable things in nature: gardens, trees, flowers, mountains, etc. For example, I love the shape of the palm tree, partially an influence of having enjoyed the Brazilian tropical climate that is so wonderful. I was thinking of a garden in which at every turn new colors are juxtaposed. With Garden Design I had an actual garden in mind with divisions and quiet spaces. 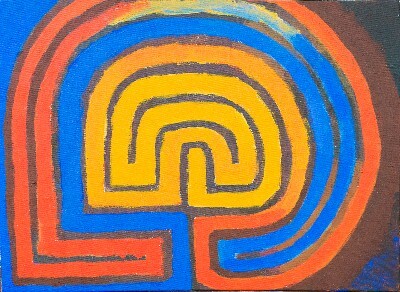 This handsome but small painting works like a pathway around what I imagine is a some or sacred space. 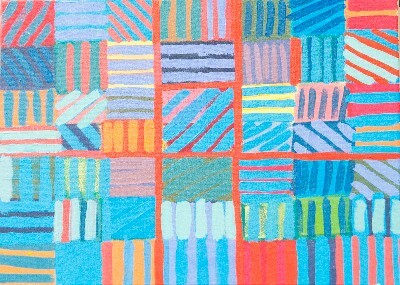 This drawing is layered in bright colors of crayon and pastel over muted watercolor. A tiny drawing that demands a lot of space. This was one of the first paintings in my labyrinth series and the colors remind me of the ski outfits of the 70s and 80s, thus itsname. 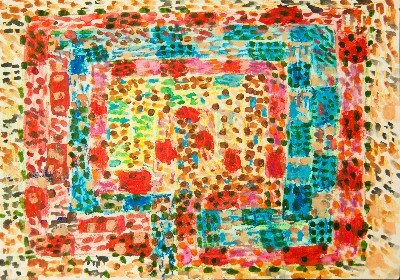 This drawing loses the labyrinth and finds it again in all the dots. Mixed media, I used watercolor, beeswax crayon, and crayon on paper. 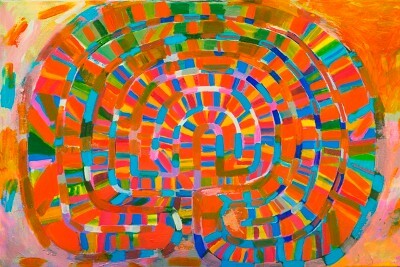 This is a labyrinth painting whose colors are simplified and graphic. It is handsome while simple.